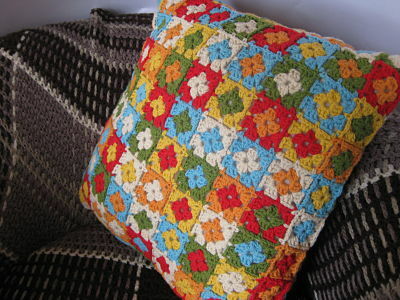 Ooops, I forgot to mention that I popped the cushion onto Ravelry here. Thanks for all the brilliant comments - very inspiring! LOVE the cushion you made! Thanks for the great inspiration!